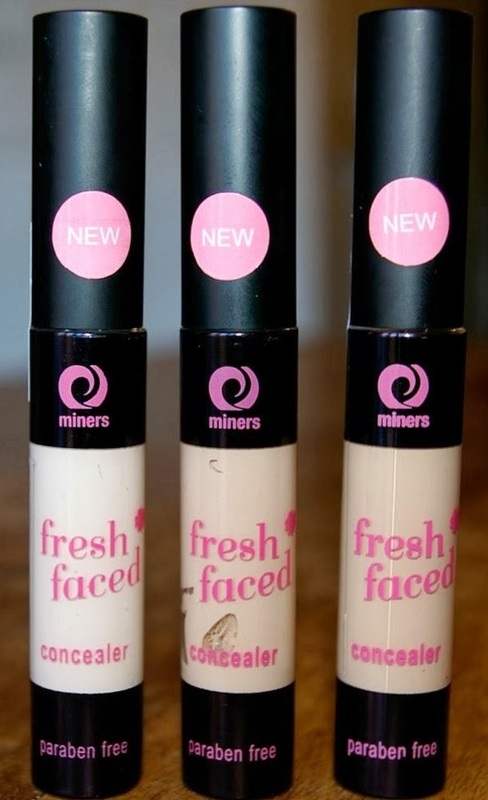 Miners fresh faced concealer is one of their newer releases and is part of their fresh faced product range. The fresh faced concealer is available in 3 shades; porcelain, Peach and Olive. I find each of the shades has a peach undertone to them which I think makes them great at hiding imperfections and dark under eye circles! The concealer is also paraben free which is another reason why I love their products! The packaging is really sleek and simple and you can see how much product is left because of the clear tube. The tube is plastic which makes it great for popping into your handbag for on the go touch ups or even in your everyday makeup bag. The porcelain shade is perfect for my fair skin tone and does a great job at brightening my skin up, sometimes I find that a mixture of porcelain and peach works well to just to cover blemishes better, Like with their foundation I reviewed Miners cosmetics get my shade right every time! I am really pleased with their products and for the price you just can't beat it! In terms of coverage I was really pleased, its not a heavy coverage but gives you just enough to cover blemishes without giving you the "cakey" look! The fresh faced concealer is available to buy online for £2.99 which is such a reasonable price for a great product and I will definitely be repurchasing this! Have you tried Miners cosmetics before? Let me know in the comments below! I've never heard of this brand before! I wonder if I can get this in the US, because that porcelain shade looks like it could match me (and I struggle to find shades light enough!!!)! It is such a great brand, they have the perfect shades for me, I have really light skin so sometimes find it hard to get a shade to suit me but they get it spot on! They are a lovely brand and have some great products! I love the peach undertone its great for hiding dark circles under your eyes!